The mongoose is a group of small carnivorous animals native to Eurasia and Africa. They mostly feed on insects, crabs, small reptiles, birds and rodents. These small creatures have an average lifespan of twenty years in captivity. 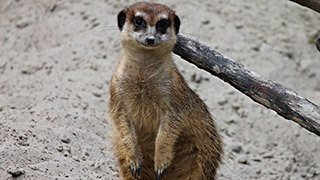 Meerkats are some of the more well known species of mongoose.